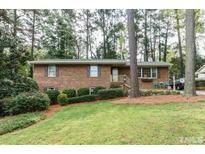 Below you can view all the homes for sale in the Brentwood Estates subdivision located in Raleigh North Carolina. 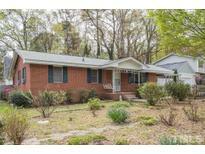 Listings in Brentwood Estates are updated daily from data we receive from the Raleigh multiple listing service. To learn more about any of these homes or to receive custom notifications when a new property is listed for sale in Brentwood Estates, give us a call at 919-928-5027. Large deck overlooks fenced back yard. Showings begin Sat. 4/20. MLS#2247803. 297. Set up for serenity, a cozy enclosed porch blocks pollen and bugs but not sunlight, with effortless access to a tree-sheltered backyard. © MLS#2248509. 511. (used as 3rd bedroom) Walk down the street to Brentwood Park (tennis courts, baseball/soccer fields, walking track, 2 full bball court, playground, & more) AND walking to distance to Brentwood elementary (MAGNET SCHOOL)! MLS#2247930. 1127. No HOA dues. Move in & enjoy! 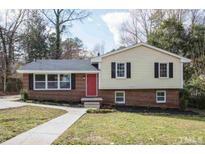 MLS#2243798. 1502. 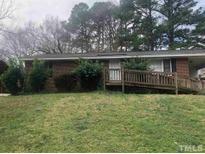 Ranch style home being SOLD AS IS sellers to make no repairs. MLS#2236003. 3183.